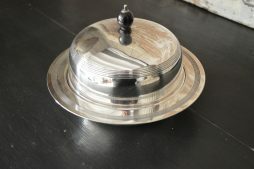 Silver Antiques | Interior Boutiques – Antiques for sale and mid century modern furniture, french furniture, antique lighting, retro furniture and danish furniture. 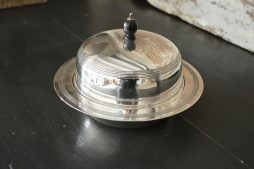 Large Sterling silver cigar box by London silversmith Joseph Braham. 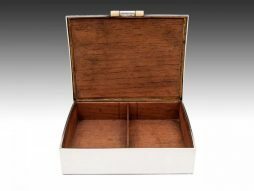 Elegant but very simple looking Cigar box of true quality, the interior is lined with cedar wood which features removable compartment dividers. 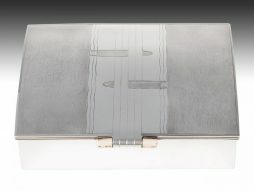 Sterling Silver Cigar Case by William Comyns & Sons Ltd of London. 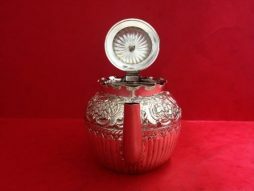 Art Deco Domed top sterling silver cigar box with engine turned top featuring two engraved cigars, the front finger plate has a bone handle allowing for easier opening of the box. 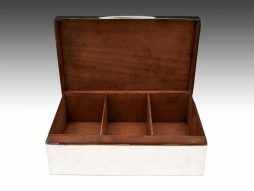 The interior has a cedar wood lining with a single removable compartment divider. 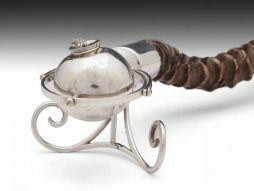 Extraordinary Cigar Lighter by London Silversmith Asprey & Co. 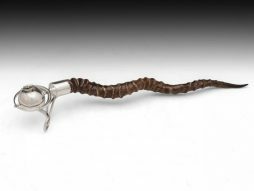 The lighter comprises of a Blackbuck antelope horn with silver lighter attached to the end. 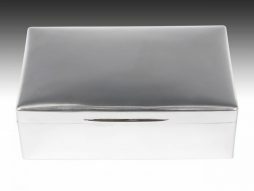 The fluid is held inside a weighted silver ball, with a wick on the top, held in position by a gimbal mount which keeps the wick at the top regardless of the angle at which the lighter is held. 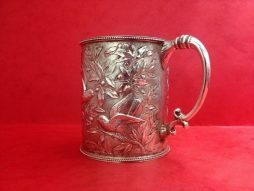 The silver is hallmarked: “A & Co Ltd” Asprey & Co Ltd, London. Condition Report : Perfect Condition. 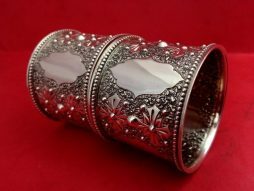 These two napkin rings are exquisitely decorated as the images demonstrate. 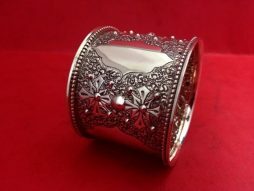 They are crafted from thick sterling silver. 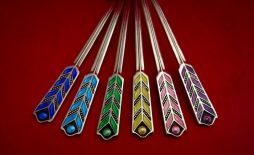 Set of Six Vintage Sterling Silver and Colourful Enamel Spoons Each one the six vintage enamel spoons has its own individual colour that distinguishes between each spoon. 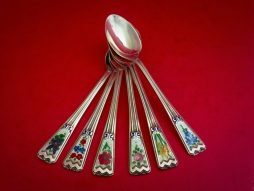 This set of six spoons is complete with the original box dating from 1935. 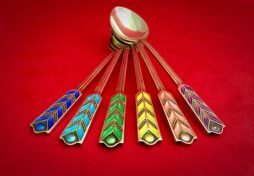 Each spoon has a different enamel flower on its surface; giving each spoon uniqueness and a distinctive colour. 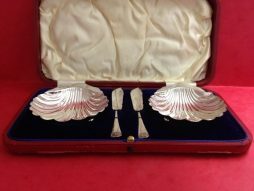 These clam shells were created in 1900, they have maintained immaculate condition ever since. Both pieces are complete with a butter knife each. 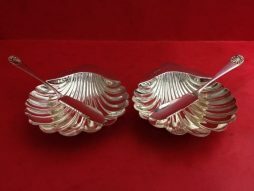 The silver-work on each of the shells is impressive; each line is clear and forms the unique shape of the clam shell. 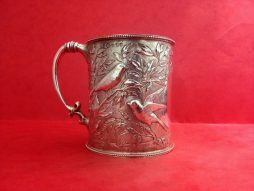 This antique sterling silver christening cup has an intricate nature scene on the surface of the silver small birds resting or hovering over the branches. 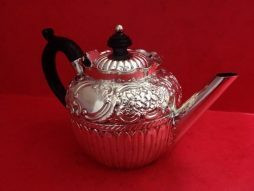 This antique sterling silver tea pot has a large ergonomic curved handle to allow for easy pouring. 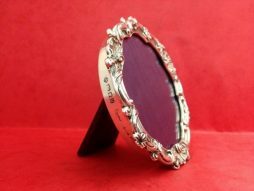 The piece was crafted in 1888, and remains in perfect condition. 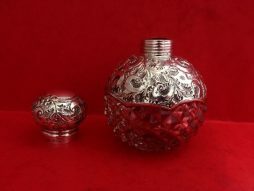 An antique sterling silver scent bottle with a large threaded lid that securely tightens around the neck of the bottle. 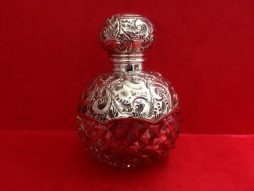 The upper half of the bottle is encased in decorated sterling silver, the lower half reveals chequered glass. 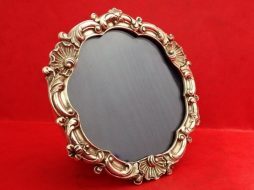 This small modern age sterling silver picture frame has a traditional floral pattern. The frame and wood are in perfect condition.